The Granite melamine set consists of everything you need to dine out in style whilst on your camping or caravanning trip. With 4 dinner plates, 4 side plates and 4 bowls, you can feed the whole family with this useful set. 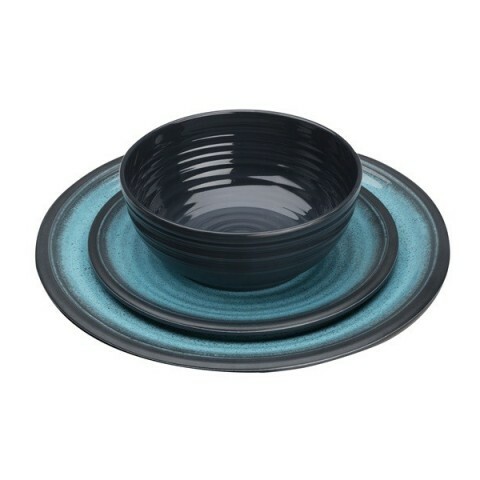 Made from 100% melamine and with its elegant contemporary granite effect dual colour design, the set is of a high quality and is designed to last. For your convenience and to ensure that no mishaps can ruin the outdoor experience, the set is also completely break resistant and dishwasher safe. Also available in grey. The Granite melamine set consists of everything you need to dine out in style whilst on your camping or caravanning trip. With 4 dinner plates, 4 side plates and 4 bowls, you can feed the whole family with this useful set. Made from 100% melamine and with its elegant contemporary granite effect dual colour design, the set is of a high quality and designed to last. For your convenience and to ensure that no mishaps can ruin the outdoor experience, the set is also completely break resistant and dishwasher safe.